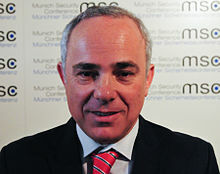 After years of denial, Israel’s Minister for Energy, Yuval Steinitz [pictured left], revealed last week that the flooding of the tunnels into Gaza that facilitate the movement of essential supplies for the besieged civilian population, had been at Israel’s specific request and with the full co-operation of the Egyptian government of President Abdel Fattah el-Sisi. This has taken Israel’s increased co-operation along the border with Egypt to unprecedented levels. This extraordinarily sensitive situation of co-operation between Israel and Egypt, in the denial of human rights of nearly two million, is a matter of great concern, not least in Egypt itself where the Arab world’s condemnation of Israel’s illegal settlement on Palestinian land is widespread. Egypt’s clandestine co-operation with Israel follows the many years that Israel’s Netanyahu was ‘in bed’ with former Egyptian President Mubarak who allegedly received huge sums of money for his covert assistance to the Israeli state. What the specific advantage is to the current Egyptian government in maintaining Israel’s 7 year, illegal blockade of Gaza, is unknown. One can only conclude that there is essentially little difference between the two adjoining Middle East states of Israel and Egypt. They share many characteristics none of which, however, could be termed democratic. Democracy has yet to reach that part of the Middle East where military repression and control, either overt or covert, is sadly the norm.